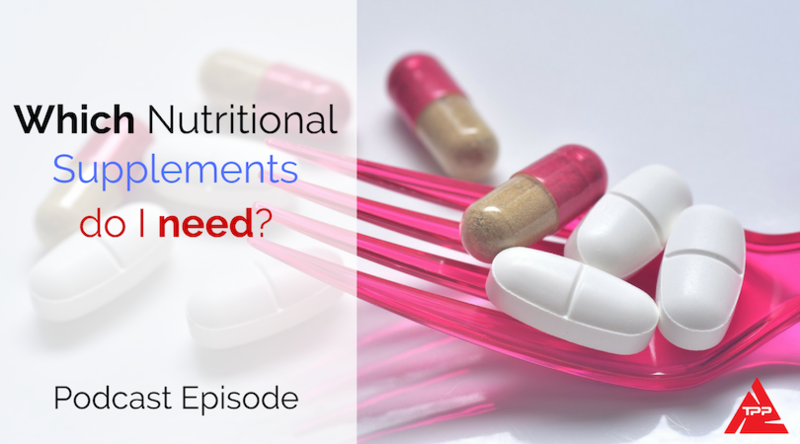 Which Nutritional Supplements Do I Need? Choosing nutritional supplements can be a very confusing task. Who do you believe? Which ones are effective? Which ones are just expensive pee? 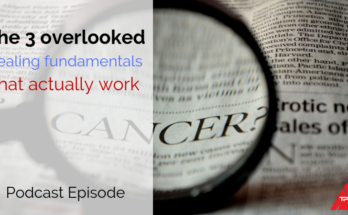 In this episode, I go over which ones I think are essential on a daily basis and which ones are on an as-needed basis. I have been getting a lot of requests for and this is all about Doc, which nutritional supplements do I need? But first, we're going to have a different approach to this episode I'm going to start giving shout-outs to the people that leave me five-star reviews. Okay you know you leave me a one-star review. I probably give you a shout out as well. Anyways, this last five-star review comes from the "you economy participants"
They're confused about nutritional supplements and navigating that road. They get right off track. And they wonder why people say that you're just flushing your money down the toilet. And then this is the reason why you need to start with your diet. So what do I recommend? This is what people ask me all the time. What, what diet do I recommend? There's some reasons why you know we most of the food grown is grown in depleted soils. What I talked about there now let's talk about when you should supplement, right. We just talked about the need for supplementation. And let's talk about when you should supplement. It's another big question again, is, Doc, when do I need to supplement and I don't recommend people, you know, you know, using like a daily thing. You need to understand what your body's going through and your needs. Now, you don't need to know specific things. You don't need to run a lab test just to know your specific needs. I mean, you can, but you don't need to people spend exorbitant amounts of money trying to do that. You can just use general cues. It's like are you going through a high times of stress? If you are you may need some supplementation. Are you traveling, you know, go you know, flying on the airplane and going somewhere else and eating out of the hotels and maybe you had a heavier workload or heavier workouts. 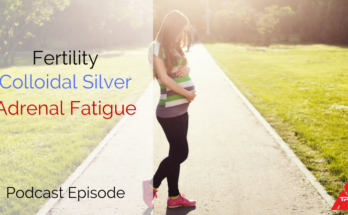 Maybe you're feeling sluggish or fatigued. maybe Yeah, those are times when supplementation is effective as human beings unlike some other animals on this planet, we actually need to get our nutrients so that we can we can create cellular repair and do all all sorts of metabolic processes in our body. You know, like we need vitamin C you know, we we can't make it ourselves unlike goats. So dietary recommendations have, you know, they've researched they've come up with a list of what they call essential nutrition. So we have things called essential amino acids. Whenever a nutrient says essential, it means that your body does not make it. So there's essentially nine essential amino acids. Well, we we were taught this in school called private Tim Hall, that's the abbreviation for fennel, alanine, failing three, earning the fan I saw leucine, Matthias earning his, the dean, leucine and lysine. Oh man putting me back to school have to think about all those. So private Tim Hall is how how we remember it. essential amino acids are essential to building and maintenance of your cell structure. And there's two major essential fatty acids. One is little lake acid, which is an Omega six fatty acid. And then the omega three fatty acid is alpha little Linux acid ala.
omega three fatty acids we need in our diet. And through that message, people actually take a lot and eat a lot of omega threes. And actually, now what we're seeing is that the balance between omega threes and sixes is actually being thrown off. So you got to make sure that you have a balance of omega three and omega six is actually a surprising thing is when you run these a omega three to six ratio test I've actually seen patients, where they're way more on the omega three dominant side so it's all about your body, is all about balance just because you know we hear in the news that omega six fatty acids are pro-inflammatory and that we need to supplement with anti-inflammatory or omega three fatty acids. You got to remember the body is all about balance. So with that said, we also have essential vitamins. and when they came out with that stuff, it was basically the minimum amount that you needed to stave off these diseases. 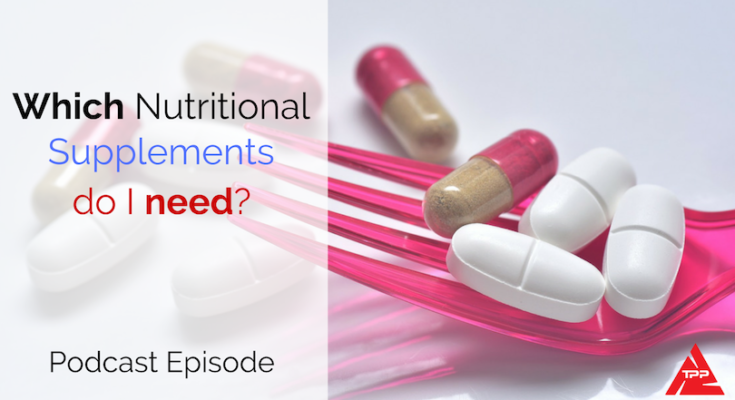 do we need to only rely on supplementation? No, do we need to own rely on diet know it needs a combination of both. So diet, supplementation, and also lifestyle as well. You get those all going correctly and your body will run correctly. All right, body's kind of like a car. So we got to understand the things that it needs and then supply the need for that. All right, I'm going to give you a list of the ones that I record. and a lot of a lot of times we don't think about magnesium we hear about it we don't think why it's important and you know, I see magnesium deficiencies and a lot of you know, constipation you got high blood pressure muscle cramps it's involved in carbohydrate metabolize. some good food sources that you can you can definitely or you should be taking part in is pumpkin seeds. Spinach swiss chard and for you chocolate lovers isn't a love hearing this dark chocolate but it has to be above 70% cow. All right, doctor. It's better. By the way, you know it's not like Reese's Peanut Butter Cups and Hershey Kisses is these is real dark chocolate where you can actually taste the bitterness of the cow you can also use Epsom salt baths to help absorption of magnesium through the skin now the next mineral that everybody should be supplementing on a daily basis is zinc. diabetes, and then ultimately you got stuff like cancer and dementia, Alzheimer's. All of these things it all stems back to faulty car. Hydrogen carbohydrate metabolism zinc is also crucial for stomach acid production. And also for fertility. minerals, there's, um, there's a company called Albion labs. Those are in my opinion and from the research that I've seen and just clinically, they have the best absorption rate and bio availability forms of of minerals just be just the way that they they key like the minerals and kill it is it has to be attached to a specific type of amino acid so that it will actually absorbed through your GI tract easily and be available to us. So Albion labs has the has easy one of the best ones. So some good food sources for zinc, grass fed beef shellfish, cashews, chicken. the number two thing that I think that everybody should be something that on a daily basis is p q. q, and you pick one also, a lot of people are more familiar with CO q 10 but the the better forms is you pick one all which is the higher bioavailable form of CO q 10 and pq Q. It's a long weird word to say parole crinoline. and if you don't produce enough energy in the muscles, they stop working effectively. Okay? So if you aren't a Staten one, you shouldn't be on it. Talk to your doctor and tell them do some research. 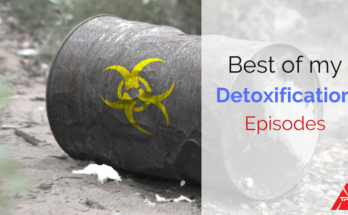 rate so actually everybody should be taking that on a daily basis to help wipe out all the acidic waste that we're being that we're producing Another one is molecular hydrogen and this is this in my opinion is the the the counterpart to too alkaline on, you know, curbing the acidic load in your body. you're producing a lot of free radicals, okay, and the major free radical that we're trying to curb is a hydroxyl. of inflammatory issues like in the brain, diabetes, cancer, all those types of things is very, very effective. And you can do do your do your due diligence on the research on that. and know when to supplement if you've got lower levels of sunshine then you're going to be using you live in northern latitudes, you need some more vitamin D.
Next one is probiotic enzymes. So produce enzymes I use it for two things. One is for digestion obviously and the second one is for inflammation so if you have chronic inflammation you can take probiotics enzymes on an empty stomach and it will help curb the inflammatory response. So if you're going through maybe you got a I don't know something like you got an injury. Canadian bc 30 is another one that I use. It for cleaner energy. And then a lot of people ask me about multivitamin multi minerals and not a real big fan of multivitamin multi mineral oils on an on an, you know, continual basis on an as needed basis. You know, like every once in a blue moon, like you're coming out of a sickness or something like that, or you die. It's poor. Yeah, multi will help short term long term not a not a real big fan of it. If you're looking for a multi that you want to use on a more consistent basis. I recommend looking for green drinks, making your own green drink or there's different green drinks on the market look for one that you like. And most of them are actually pretty decent, but that's my that's my preferred form of if you trying to do a multi vitamin. Now this next list is what I call my specialized supplements. are talking about this, a lot of gurus out there that are talking about this. And there's basically two forms. Basically, if you don't know what ketones are, this is basically what your body turns to. When your, your sugar reserves your carbohydrate reserves are all used up. And this is another form of fuel that your brain cells will use your muscle cells will use is basically what happens you know, you your body turns towards fat breaks it down and uses it as ketone bodies. And that can interject into the the, what you call the citric acid cycle, the Krebs cycle and make ATP okay so there's two forms. One is MTT oil, which a lot of people are familiar with. There's companies on the market that make MC t oils in the form of either powders or straight up oils. One of the big, you know, everybody kind of knows about in the health scene is like bulletproof coffee by Dave Asprey. I've tried a bunch of them. And, you know, you get a lot of focus and concentration. becomes very, very popular and, you know, people taking be 12 shots and all that kind of stuff. There's, there's actually four that I want to mention within the B complex one is for clinic acid folic acid is actually the active form of full eight and it's naturally found in nature. are really great for anti inflammatory stuff, helping with allergies. the next big player in the industry that you'll be seeing a lot especially as states start to legalize marijuana more for medical marijuana there's a stigma that goes along with CBD oil of it being you know, having that negative stigma of being attached to marijuana. But you know, if you guys start looking at the research and start seeing the effectiveness of this stuff, and you know, I've seen amazing things happen with patients utilizing CBD oil, some of them have CBD THC. you know, people try to poo poo essential oils. But stuff works. So that's, you know what I consider specialized supplementation. And there's stuff like homeopathic little word in a homeopathic homeopathic work and the way that the body views it is like a drug you know, and like a drug is not supposed to be used for a lifetime. You know, use it for short term to get you over the hump while you use the things that the body's division in so there are homeopathic on the market I don't give people homeopathic long term so if you're using a homeopathic make sure that you're only using it short term because you don't want to be getting a pharmaceutical response for the rest of your life. herbs are viewed as in your body as a pharmaceutical. So it's some something that you're not going to be taking for a long period of time just as needed really great, you know, for as a pharmaceutical substitute. Listen to that. But if you need supplementation you need it. I don't recommend relying on it. You need to start with diet and lifestyle first. And then supplementation last. Alright we are wrapping it up. Now if you need the show notes, you can get the show notes to this. It'll all be at TRIPLE PLAY performance.co forward slash Episode 64. So that's TRIPLE PLAY performance.co forward slash Episode 64. If you guys know of anyone that could benefit from my webinar you just got to head over to ww TRIPLE PLAY performance co forward slash webinar and you'll be able to watch what I consider the three biggest mistakes people make with their health. It's about a 40 minute overview of the things that I see people making the biggest mistakes and then what you need to be doing and if you want to move forward after that. You want to work with me as a consulting client, you guys can fill out a form, apply for it, and then we'll sit down on a zoom call for 20 minutes, we'll do a consultation. I'll present to you what I think would be the best route for you to take. And then we can move from there. If you enjoyed this podcast, leave us a five star review. connect with me on the grand triple play. Tell the entire world! Until the next episode...Be Well & Aloha.